Home Gaming Why Live Casino Streaming Is So Popular? As the year draws to a close, experts start contemplating the ‘next’ new technology that is going to take over. Today we talk about live casino streaming, which isn’t exactly a ‘new’ technology, but rapidly scaling the popularity charts. Live video streaming already adopted by the likes of Facebook, Instagram, YouTube, Twitter, Snapchat, and others accounted for 75% of all internet traffic in 2017 and is expected to climb to 82% by 2020. Live streaming casino games have been raking in a lot of moolah for casinos and other gaming providers. Evolution Gaming in its interim 2017 report identified live dealer casinos as a contributing factor to an exceptional increase in revenue. But while it’s a fun way to explore the world of gambling, as a player, you must be cautious and play only at the known and best Paysafecard casino sites NZ. How does live casino streaming work? Live game streaming works just like how we stream movies online today. It involves online players broadcasting their game sessions online in “real-time” where audiences can tune in to the live feed or choose to watch the video later on-demand. Live casino streaming takes things up a notch as in you don’t need to register an account with a casino to watch your favorite game. You can instead watch it directly on streaming sites like Twitch.tv and YouTube. The Optical Camera Recognition (OCR) technology has been instrumental in driving the mechanics of live casino streaming. It records every minute detail in the gaming room such as shuffling of cards, spinning of the wheel, distribution of hands and streams it directly to the players via a video link. 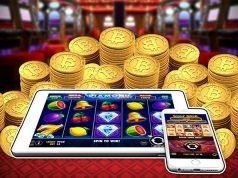 Players can place their bets directly via a console on their computer screen and ask for assistance through a live chat operator 24/7. Why is live casino streaming so popular? 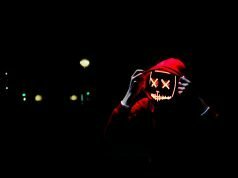 It all started with YouTube where major gaming channels started live streaming to establish a better connect with their audience with tutorials on how to play games. It caught on, but what jumpstarted live casino streaming was Twitch, an Amazon-owned live streaming video platform introduced in 2011, mostly for action video games. It started with poker, but slowly players took to other games like roulette, blackjack, and even slots. 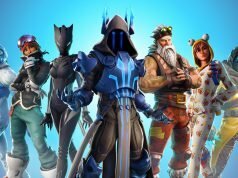 Streamlabs says Twitch attracted more than 1.1 million streamers last quarter with Fortnite being the most streamed game. Nearly a million people watch a stream on Twitch at any given time (up 21% from the fourth quarter of 2017). And this is just the beginning. YouTube’s gaming channel, though lagging behind Twitch, also increased its share of streamer base by as much as 343% in 2017. Microsoft has come out with the “Mixer” wherein it integrates streaming tools into Xbox and Windows 10. Facebook has also jumped in with the launch of ‘Level Up’ to help live streamers build an audience and make money. Major land-based as well as online casinos also picked up on the trend and started collaborating with or sponsoring certain streamers with huge player fan followings. This further opened up the industry and brought in new advertising revenue. You need to place a bet via your interface, and the dealer will then deal accordingly. You must be mindful of the time limit as some systems will automatically remove you if you don’t bet for a certain amount of hands. You can see the entire card data as the dealer passes them over a camera that reads the card information into a computer and sends it to your screen. Your account will be automatically debited or credited as the game progresses. Like traditional casinos, here cards are dealt from a casino shoe, which is changed regularly. As usual, the first drawn cards are discarded to guard against card counting. Again, you will get all the information as the cards are passed over a specialized card reading camera which then sends it to your screen. In live games, you can see a complete electronic version of the table where bets are placed. The wheel is spun, and the croupier sends all the information to your screen via card readers. As usual, winners are paid automatically. 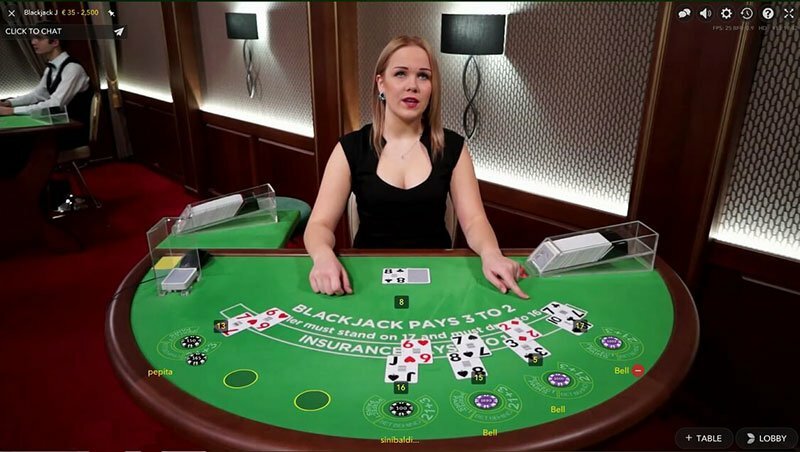 Live online casinos also offer casino hold ‘em, a single-deck game where you can take the form of a dealer by betting against the “house.” You can see the winning hands in order with a pay table on your screen.